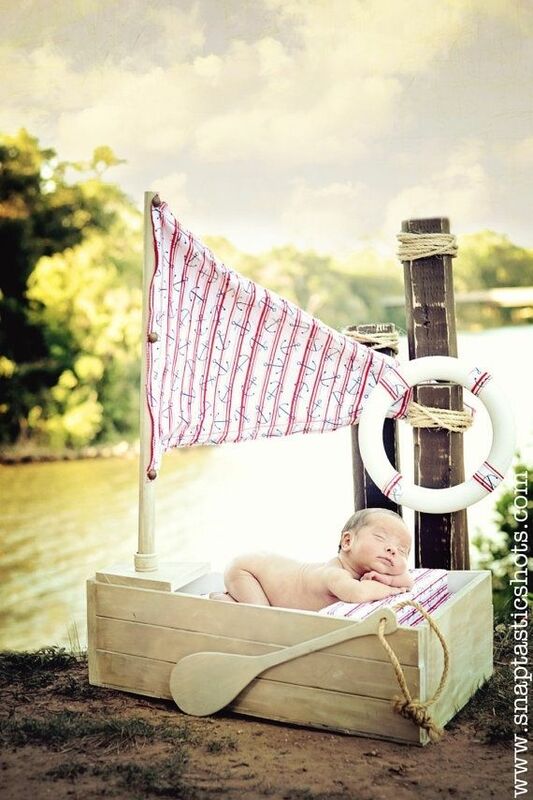 This small town girl is bringing to you this beautiful handmade Pint Size Photography Prop boat perfect for that nautical Photo Shoot!! The Boat is a perfect size measuring around 28 inches long, by about 17 1/2 inches wide at back of boat, and about 10 inches deep. I can paint your boat any color you would like just specify when you check out. If you have a special name you would like us to put on the side simpy let us know and we will do this for no additional charge!!!!! 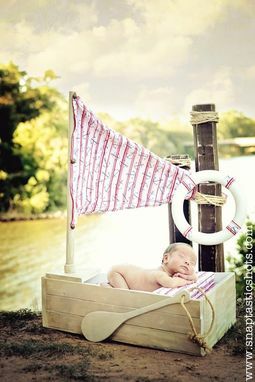 If you don't specify colors you will recieve the boat in the photos. If your an animal LOVER this would also make a super cute bed for your furry little friend.